Tiffany Parker and Sheniya Brown of Wilmington, Delaware, exchanged heated messages on Facebook over a mutual love interest, and the conflict escalated considerably when they subsequently encountered each other in public and became embroiled in a physical altercation. Bystanders eventually separated the two, but the fight resumed when Brown returned with a knife. Shortly thereafter, officers from the Wilmington Police Department again separated the women and ultimately Parker was charged with second-degree assault and making terrorist threats. Parker claimed self-defense. At trial, the State introduced Parker’s post-altercation Facebook posts to tie her to the incident and discredit her self-defense claim. The State introduced her Facebook posts, which included her picture, the name “Tiffanni Parker,” and a time stamp for each entry. The State relied on circumstantial evidence, and the victim’s direct testimony to authenticate the Facebook evidence. On many sites such as Facebook or Twitter, a user will post content—which can include text, pictures, or videos—to that user’s profile page delivering it to the author’s subscribers. Often these posts will include relevant evidence for a trial, including party admissions, inculpatory or exculpatory photos, or online communication between users. But there is a genuine concern that such evidence could be faked or forged, leading some courts to impose a high bar for the admissibility of such social media evidence. 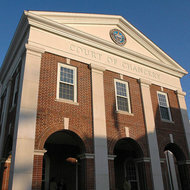 Other courts have applied a more traditional standard, “determining the admissibility of social media evidence based on whether there was sufficient evidence of authenticity for a reasonable jury to conclude that the evidence was authentic.” This approach recognizes that the risk of forgery exists with any evidence and the rules provide for the jury to ultimately resolve issues of fact. The Parker court ultimately concluded that social media evidence was no different from any other evidence and that it was thus subject to the same authentication test as any other exhibit. Applying the test set forth in Tienda, which has become the majority view in the U.S., the court concluded that the Facebook messages were properly authenticated based upon the victim’s testimony, and circumstantial evidence in the form of metadata, including date stamps, and user account names. While the prosecution in the Parker case achieved a favorable result, it faced a concerted challenge on the authenticity of the evidence, and as we have seen in other cases, relying on simple printouts of social media site pages is a very risky value proposition. This highlights the importance of utilizing best practices technology such as X1 Social Discovery to ensure all supporting metadata and other key circumstantial evidence is properly and comprehensively collected to ensure proper authentication of social media and other website evidence. In our recent social media ethics webinar with John Browning of Lewis, Brisbois, (recording and slides available here) we noted the significant number of recent criminal matters involving key social media evidence. 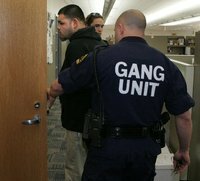 In reviewing these cases that are documented on our site, we continue to be amazed at what many alleged gang members choose to post on their public-facing Facebook and MySpace accounts. This led us to muse that it might be a good idea for Facebook to embed the Fifth Amendment of the US Constitution into their terms of service as a friendly reminder about their users’ right against self-incrimination. Speaking of which, last month a Texas Appellate court upheld the murder conviction of Ronnie Tienda, who owes his trip to the slammer almost entirely on the content of his MySpace page. The case also underscores some important lessons on authenticating highly contested social media evidence. In Tienda v. State (Tx App. 2012) the prosecution introduced several photographs from Tienda’s MySpace page featuring Tienda exhibiting gang signs and other gang paraphernalia, one with the helpful caption, “You ain’t BLASTIN, you ain’t lastin,” and another boasting “I LIVE TO STAY FRESH!! I KILL TO STAY RICH!! N OTHER WORDS IMA GO TO WAR BOUT MY SH**” followed by another notation, “Rest in peace, David Valadez” with a pointed link to a song played at Valadez’s funeral. David Valadez, of course, was the victim. Police also amassed a trove of other MySpace evidence including Tienda’s chat conversations with other suspects under investigation and even referring to the events of the night in question and concerns about the ensuing police investigation. The Court admitted the MySpace printouts into evidence over the defendant’s objection, with the prosecution laying the foundation for these pictures through various circumstantial evidence. The prosecution pointed to various metadata and other circumstantial evidence from Tieda’s MySpace page, including his username, which was consistent with Tienda’s commonly known nick name, his email addresses registered to the account, User ID number, stated location (Dallas), references to the victim’s funeral, communications with other suspects, and numerous posted photos of Tienda with associated date and time stamps. While the prosecution achieved a good result, it faced a concerted challenge on the authenticity of the evidence, and as we have seen in other cases, relying on simple printouts of social media site pages is a very risky value proposition. This highlights the importance of utilizing best practices technology such as X1 Social Discovery to ensure all supporting metadata and other key circumstantial evidence is properly and comprehensively collected. As the Tienda case reveals, there is a wealth of relevant social media evidence out there, and if you are not properly collecting, your opponent will be objecting.